Faculty Research Profile This form places the user on a mailing list to receive funding opportunity information based on his or her interests. Begun in 2012, the Academy for Research & Scholarly Engagement seeks to broaden the community of Jackson State University faculty members who competitively win extramural funding for their research and/or creative portfolios. It brings together a multi-disciplinary cohort of faculty at various stages in their careers, called Academy Scholars, with experienced principal investigators (PIs) called Academy Coaches. Academy Scholars participate in a sustained program of in-person workshops, self-paced learning via an online course, mentoring and engagement with program officers at federal agencies and foundations. 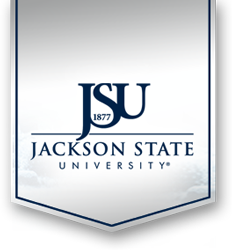 Since its inception, the Academy has supported 112 Jackson State University faculty. Over $3,500,000 has been awarded in external grants to Academy Scholars as a result of their participation. Four interrelated and mutually reinforcing learning streams comprise the Academy: (1) in-person workshops that engage the entire cohort in interactive learning and discussion activities and cultivate a sense of community, (2) self-paced instruction delivered on-line and covering the entire grant writing process from idea formation to submission, (3) coaching and review of proposal drafts by experienced and successful grant-writers on the faculty at Jackson State and (4) interaction with program officers and other personnel from federal agencies and foundations that fund research and creative endeavors. * Compose and submit a Research and Scholarly Agenda approved by the Academy coordinator, an Academy Coach, the Academy Scholar's department chair and the Academy Scholar's school or college dean. * Participate fully in all workshops, presentations and meetings. * Work collaboratively as writing partners/peer reviewers with the multi-disciplinary cohort of Academy Scholars. * Submit assignments (i.e. proposal components) to the Academy coordinator and Academy Coach. * Submit a competitive proposal to a funding agency or foundation in response to a Request for Proposals (RFP) or Request for Applications (RFA). * Opportunity to participate in a trans-disciplinary community of scholars enhancing their proposal writing skills. * Interaction with and coaching from successful JSU principal investigators. * A $3,000 research stipend (awarded during Summer 2017). The Academy for Research & Scholarly Engagement is funded by the U.S. Department of Education Title III Program.